Get flexibility and brightness in one with this light. 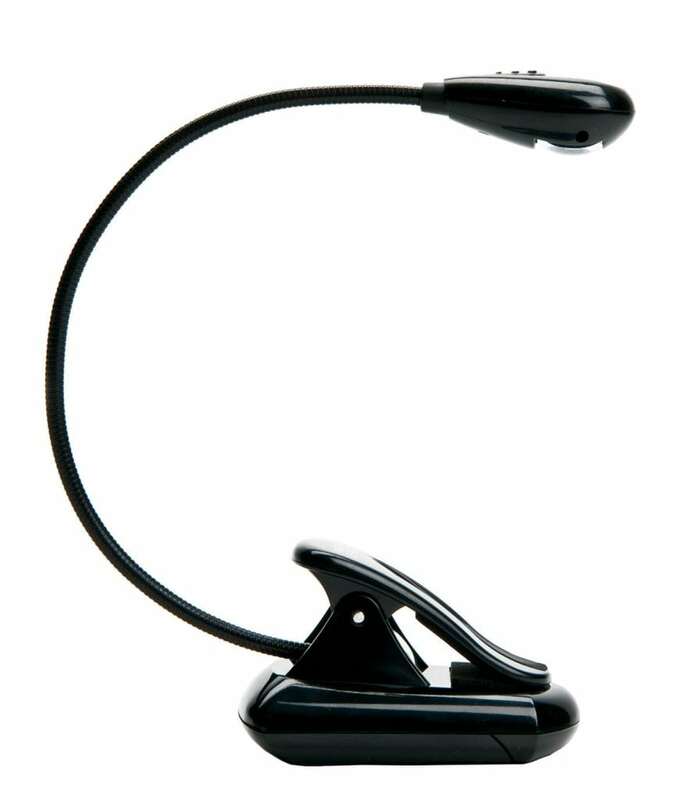 Features one bright white, energy-efficient LED and a flexible gooseneck that holds the light firmly in place. The small base provides stability, and a sturdy clip allows you to also attach it to a stand. Powered by 3 AAA included batteries.